Emma has incurable cancer. Her cancer journey began in 2010 when she was 12 years old. Diagnosed with osteosarcoma in her right leg she went through months and months of gruelling treatment only to be told that due to a million to one chance , her left leg had been affected too. Further scans revealed that the cancer had also spread to her lungs and ribs. 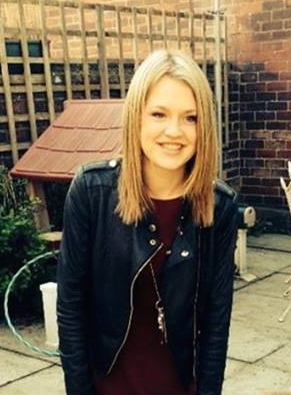 Emma has spent months and months in hospital and has undergone countless operations. Always positive and surrounded by her family, Emma has rallied and despite many setbacks and anxieties she is back in education studying for a qualification in care. 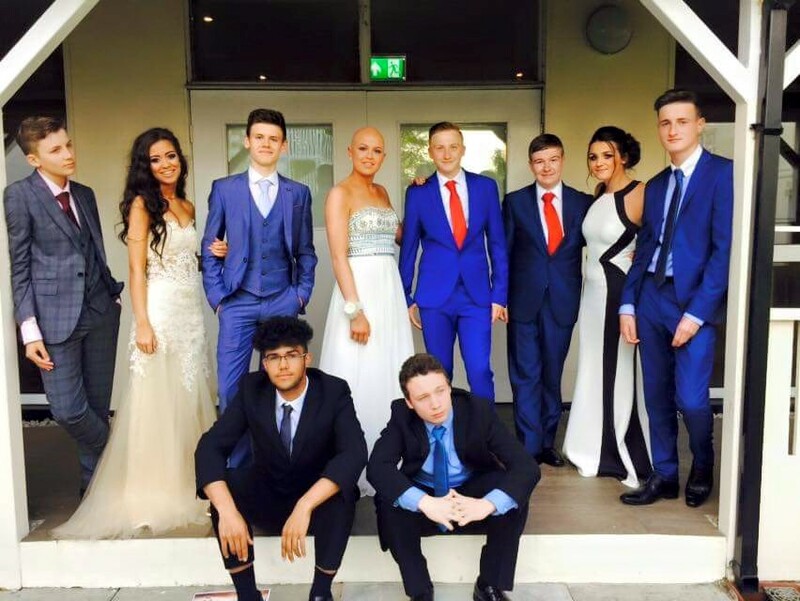 We found out that due to hospitalisation, Emma missed her prom and also her 16th birthday. We decided that we had to do something very special for Emma so we pulled out all the stops and threw her a “Sweet 17th “ party. First stop was at the Trevor Sorbie salon in Spring Gardens where stylist to the stars Vince Allenby created Emma's dream look. Next stop was the Only Fingers & Toes salon at Harvey Nichols in Manchester where Emma was treated to glam nails and last but not least the Chanel make-up counter where Francesca Vita transformed our young lady into a gorgeous model ready for her photo-shoot at Boss models with celebrity photograpger Tony Blake. Her surprise party turned into a very memorable eveing for Emma and all her her family and friends; a limo ride, a fab cake and great food and party atmosphere. 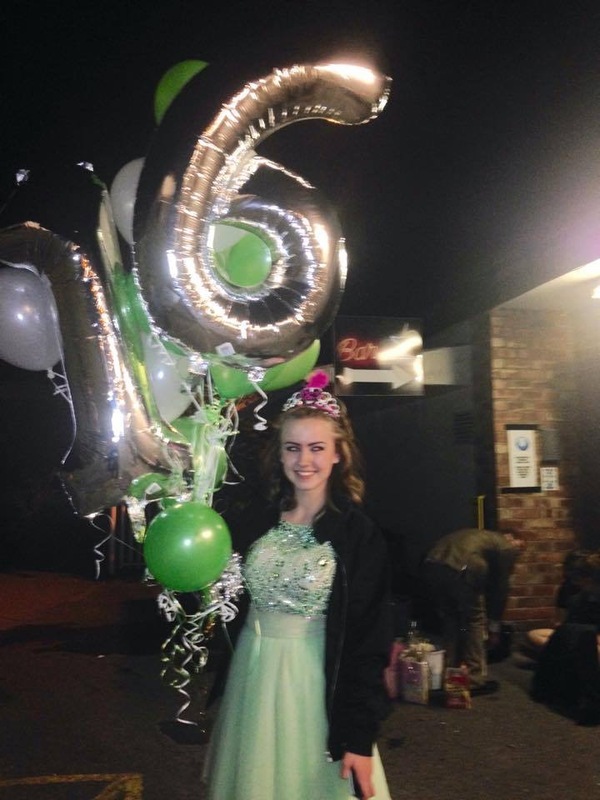 Emma told us " My Cinderella experience was amazing.....my face still hurts from smiling all evening!" Melissa, 16, visited our Cinderella wardrobe for her prom dress. Melissa who was diagnosed with Ewings Sarcoma last year. 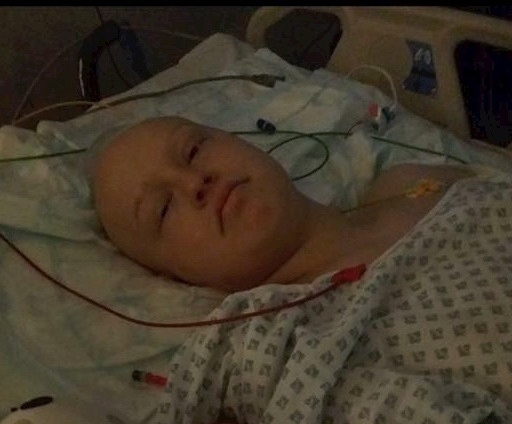 has just completed her treatment at Royal Manchester Children’s Hospitaltold us “I didn’t feel beautiful enough to go to my prom, losing my hair, eyelashes and my eyebrows was devastating and I felt that everyone was going to stare at me. When I heard about the Cinderella Project I was a bit apprehensive but after I spent a few hours choosing my dress I knew that I could feel beautiful again. The team at Harvey Nichols, in particular Dani from Stila, and the Fingers & Toes girls were fantastic. I had eyebrows, eyelashes and glam nails again. It was a special very day. The icing on the cake was when the limo came to pick us up. I felt normal again, in fact, better than normal. I felt like a princess and everyone was welcome to stare this time. 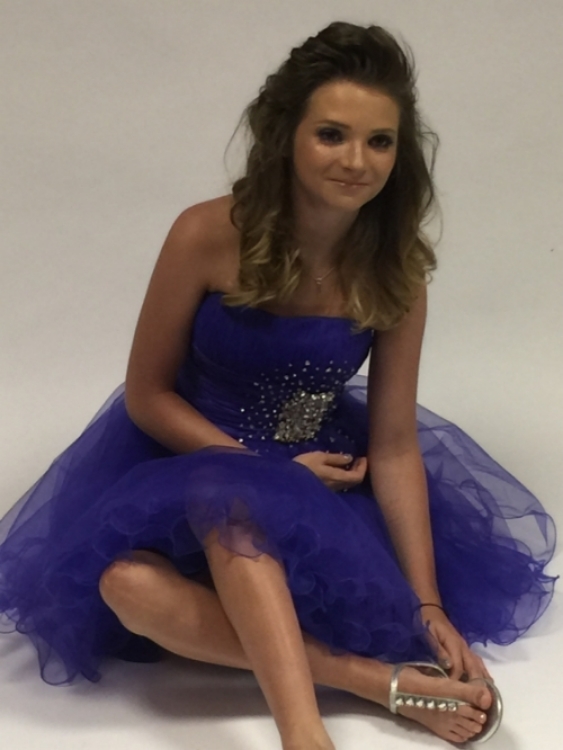 In October 2013 exactly 20 days after turning 14, Meg was diagnosed with Acute Myeloid leukaemia (AML). Confined to hospital for nearly 10 months , this was the struggle of her life. Even though Meg has been in remission since April 2014, she often dreams that she has lost all her hair again and wakes up in the middle of the night crying . Terrified of attending her regular check ups in case she ends up back in hospital, she continues to struggle with depression and anxiety on a daily basis. 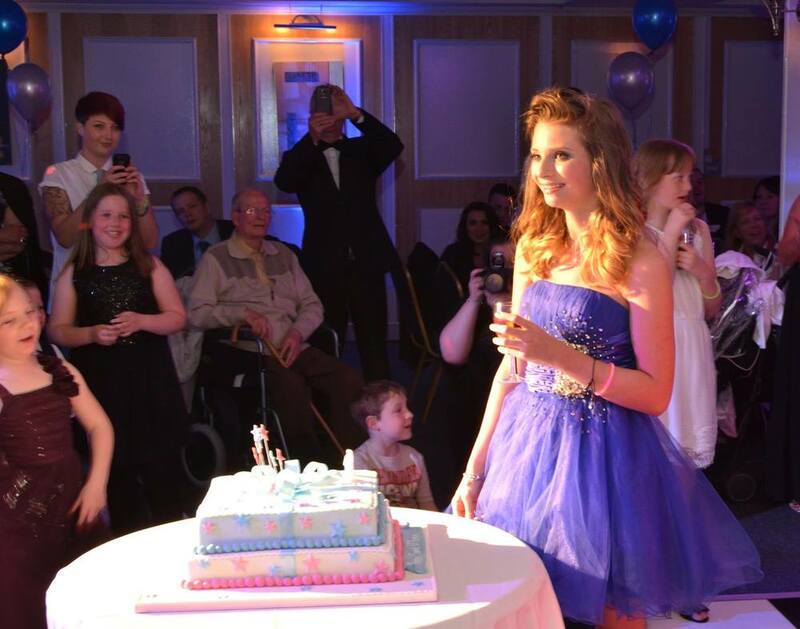 Meg picked a lovely dress from our Cinderella wardrobe which she wore to her fabulous “Sweet 16th” birthday party in October.